Israeli extremism matches these definitions and then some. For decades, it’s been the tail wagging the US dog. The so-called special relationship is more liability than benefit. Rights afforded Israel do more harm than good. US interests are sacrificed. America loses more than it gains. World peace is threatened. Both countries threaten humanity. Serious reassessment of this hellish relationship is long overdue. Washington does more than let Israel get away with murder. It actively aids and abets it. It concurs on virtually everything Israel wants. The mainstream media approves. It turns a blind eye to Israel’s worst crimes. He “dug in” his heels. He’s “escalat(ing) a crisis.” He’s increasing settlement construction and withholding tax revenues collected for Palestine. He threatened more punitive measures. Palestinians have endured crisis conditions for over 64 years. Besieged Gazans are being suffocated. Decades of Israeli settlements are illegal. Abbas has no legitimacy whatever. Israel rigged his election. His term expired in January 2009. He’s still there. He’s Israel’s useful puppet. He helps enforce occupation harshness. Hamas is Palestine’s legitimate government. In January 2006, Palestinians overwhelmingly elected its candidates. Israel pressured Washington to declare it a terrorist organization. Its political legitimacy is solid. Denying it doesn’t wash. Times editors omitted these and other inconvenient facts. At the same time, they criticized Iran’s peaceful nuclear program. They urged Obama to revive peace talks. They ignored decades of Washington and Israel subverting them. In other words, they want Palestinians to sacrifice their legitimate rights and surrender to Israeli authority. It’s been that way at least since Oslo. This is what passes for opinion in America’s “newspaper of record.” Times pro-Israeli bias is uncompromising. Palestinian rights don’t matter. Haaretz goes both ways. It largely supports Israeli policies. At the same time, legitimate criticism is published. Sometimes it’s in editorials. They go so far but no further. Stopping short spoils otherwise good comments. At the same time, unjustifiable comments spoiled these legitimate criticisms. Iran’s peaceful nuclear program was called threatening. Haaretz editors know otherwise but don’t say. Lawless settlements weren’t discussed. Nor were daily attacks on Palestinian civilians. Dozens of weekly incursions continue. Nonthreatening Palestinians are accosted, arrested, shot, injured, or killed. Overnight another man was shot. On December 4, Israeli soldiers demolished a south Hebron Hills mosque. It was destroyed in 2011 and rebuilt. Palestinians are denied their right to worship. Israel plans to demolish eight West Bank villages to provide land for a military training zone. Haaretz reported none of this. No outrage was expressed. Ongoing crimes against humanity go largely unmentioned. In March 2010, 1,700 East Jerusalem Ramat Shlomo settlement housing units were approved. Netanyahu wants construction expedited. By mid-December, the Jerusalem District Planning and Building Committee will discuss what’s next. 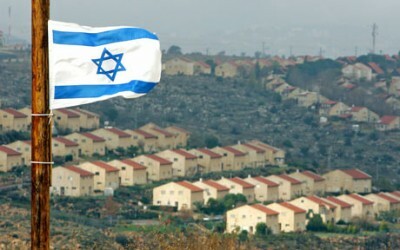 Hundreds more Givat Hamatos units will be approved. Many more are planned for Gilo and Givet Ze’ev. They’re part of Netanyahu’s E1 corridor expansion. Accelerated Palestinian home demolitions are expected. Netanyahu thumbed his nose at world opinion. Don’t bet he won’t get away with it. Settlements aren’t “controversial.” They’re illegal. Most Israelis support them. World leaders do nothing to stop them. They have plenty of muscle but won’t use it. Iran’s been unjustly punished with multiple rounds of sanctions. Israel deserves harsh punishment but stays free to operate lawlessly. Double standard hypocrisy is glaring. Expect much the same from other European leaders. Policy measures with teeth don’t follow rhetorical bluster. Words alone ring hollow. Washington backs Israel’s worst crimes. It’s been that way for decades. It won’t change now. US tax dollars and American NGOs help fund settlements. The US tax code enables donations to organizations involved in settlement construction and activities. From 2002 – 2009 alone, dozens of NGOs, private foundations, and US corporations contributed $274 million in settlement enterprise support. Doing so, of course, is illegal. Fourth Geneva obligates occupiers not to transfer their population to territories they control. Israel’s been doing it for over 45 years. World community outrage is absent. Silence or muted criticism is support. Millions more are collected annually. Influential organizations and wealthy contributors are involved. Nothing is done to stop them. Tax law stays unchanged. It violates international and constitutional law. Religious charities are involved. Their policies are opaque. Tax law exempts them from disclosing their finances publicly. Extremists like Christian fascist John Hagee take full advantage. He helped raise tens of millions of dollars. He’s militantly anti-Muslim. He endorses preemptive war on Islam. He defiles Christian tenets. He’s welcome whenever he visits Israel. JP editors look facts in the face and ignore them. Two states side-by-side haven’t been possible for years. Netanyahu’s announcement perhaps drove the final nail in its corpse. Not according to JP editors. At best, they suggest Netanyahu’s announcement was tactically wrong. Construction is legitimate they claim. International law doesn’t matter. They’re in Palestinian East Jerusalem. Legal housing construction is legitimate. On stolen land it’s lawless. Perhaps JP editors forgot. More likely they don’t care. Building anywhere in Palestine “is perfectly in line with our country’s interests,” they said. E1 development is no different than anywhere else. Previous governments felt the same way. In October 1994, Yitzhak Rabin said “united Jerusalem” would include Ma’aleh Adumim under Israeli authority. Then-Jerusalem mayor Benny Kashriel got E1 annexation documents. As prime minister in 1996, Shimon Peres reaffirmed them. So did most other Israeli officials. They stopped short of proceeding with development. Never mind rule of law principles. Forget about Palestinian rights. Whether they say it or not, most Israelis feel the same way. Obama seems heading toward full-scale war on Syria. Post-election, he’s unrestrained. Interventionists want direct US involvement. They urge decisive action. Official comments omit explaining who bears full responsibility. Washington planned war on Syria years ago. It’s been raging since early last year. No-fly zone advocates know establishing it declares war. Installing Patriot missiles on the Turkish/Syrian border combined with recognizing Syria’s illegitimate opposition perhaps is planned pretext to launch it. Last summer, Syrian officials said they’ll never be used internally. In self-defense if NATO attacks, anything is possible. Washington uses chemical, biological and nuclear weapons freely. So does Israel. The mainstream media say nothing. They prefer headlines calling naked aggression humanitarian intervention. Why ask Jordan? Only Washington’s approval is needed. At issue is some chemical sites are close to Jordan’s border. Syrians might also suspect Jordanian involvement if Israel attacks. So far, Jordan disapproves. Amman officials said now isn’t the right time. Mission creep seems incrementally heading toward full-scale war. It could erupt anytime. Perhaps a false flag will launch it. It wouldn’t be the first time Washington used this stunt. Or Israel if it gets directly involved. It looks that way if Goldberg’s information is right. Stephen Lendman lives in Chicago and can be reached at [email protected].